Royal Baby fever – what might the Duke and Duchess of Cambridge decide to call their young Prince? After much speculation over the gender of the latest Royal baby, the Duke and Duchess have become the proud parents of a son, a Prince. 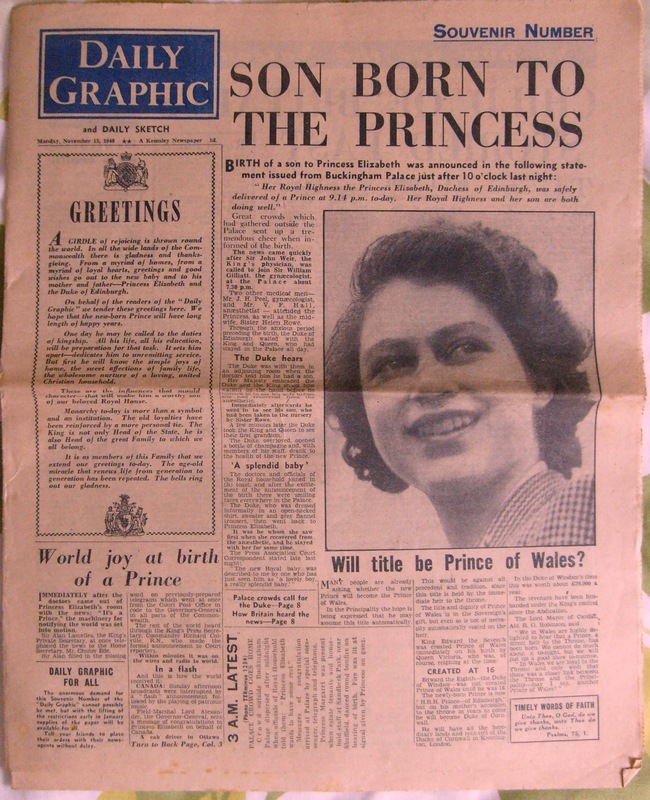 Back in November 1948, the young Princess Elizabeth delivered her son, and heir. Apparently it was some time before he was named – Charles – a historical name, last bore by King Charles II whose own father (Charles I) was executed at Whitehall in 1649. Charles II had a large number of illegitimate children, but died without an heir – with the throne passing to his brother, James II and VII. Princess Elizabeth’s choice may have been one that represented a new, fresh, start for the post-war monarchy. Prince William’s own name had not seen use since for a King since William IV, who died in 1837 without a surviving legitimate heir, and so his throne went to his niece, Princess Victoria of Kent. So who will our Prince be? By the time the Prince ascends the throne, we may have already had a Charles III (or as suspected, George VII), and a William V.
Will the new Prince become Edward IX? Henry IX? George VIII? Or will he tread the path of his earlier ancestry? Prince Richard? – embracing the current popularity and interest seen for Richard III? Prince Albert? – an affectionate reference to Queen Victoria’s consort? Prince Leopold? – Victoria’s youngest son? Prince Arthur? – a name steeped in myths, but also used in both Princes William and Charles’ names. Prince Duncan? – Scottish King Duncan II died in 1094. Prince Athelstan? – there has only been one King Athelstan, and he died in 939. Prince David? – King David II was the last, dying in 1371. Prince Edmund? – King Edmund II (Ironside) was the last, dying in 1016, reigning for just 7 months. This name would perhaps be blighted too, by Prince Edmund, the Blackadder – a popularly unpopular TV character. 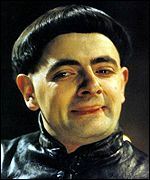 Actor Rowan Atkinson as the weasley Prince Edmund, the Black Adder. Prince Louis? – whilst Louis features in William name, the last King Louis was the French King Louis, who spent a period ruling over about half of England, but he conceded the throne in 1217. Prince John? – there has only been one King John. I’m guessing that we’ll see a Prince Frederick or ‘Freddie’, or perhaps Prince Arthur. We’ve already seen signs that Prince William likes to tread new ground, so we might even get a brand new name. According to James Brighton at BabyNames.co.uk, the top 5 boys names in the UK in 2013 are (in order): Noah, Oscar, Oliver, Isaac, and Jacob. We’ll have to wait and see…. Previous Previous post: Baby Fever!